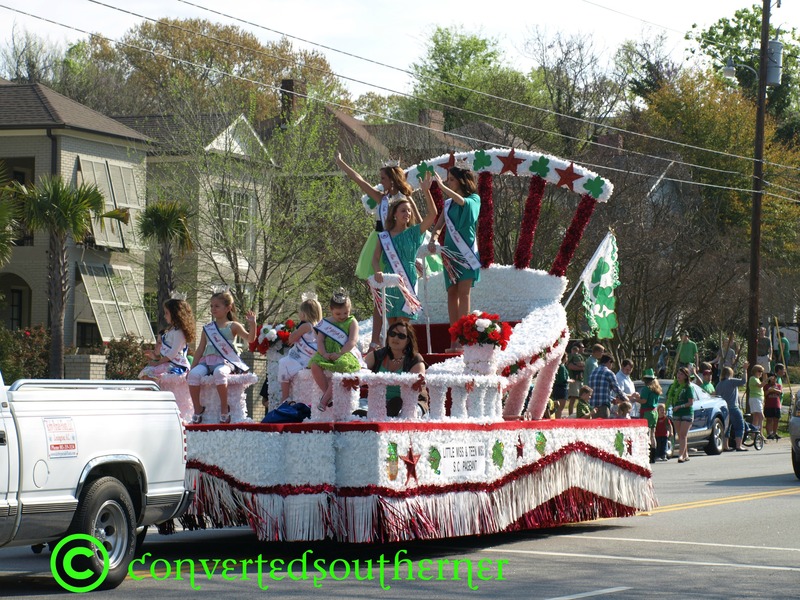 It has been a perfect spring day here in the South, and we have had a heat wave just in time for St.Patrick’s Day and all the festivities that come with that holiday. Our city has hosted a 5k this morning, then a parade, followed by a festival downtown complete with a lovely kids section with a lot of rides and an adult section with plenty of beer and four different concert stages! It has been blue skies, filled with sunshine and little whote clouds, with an afternoon temp hoovering in the eighty degree range. Now if everything just wasn’t covered with pollen, it really would be perfect (I need to remember to do a blog on the topic of pollen later on). I’m babysitting MG for the weekend, so I made sure we were up and out the door in time for the parade this morning. 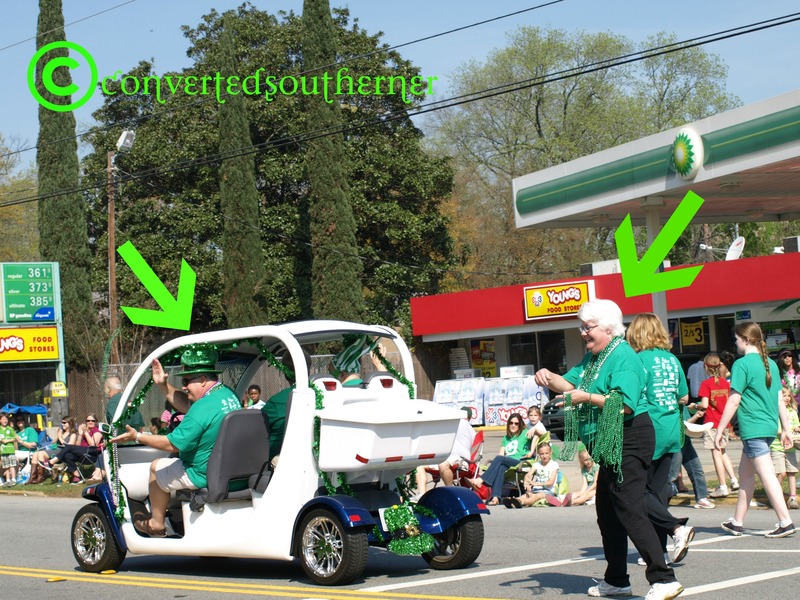 We got an easy parking spot up near the middle school and walked two blocks up to the parade where we saw a lot of green, a lot of Southern flare and interpretation of the holiday and had plenty of laughs. Then we went down to the festival and MG rode a pony. They had tons of rides, but she wasn’t interested in any of them… I think it has something to do with the cast on her arm (she broke it by falling off of her scooter a couple weeks ago). Oh, well, one less thing I had to buy. Anyway, we had great fun and hopefully we can go again next year. As you can see above, MG really got into the holiday. She won the hat at her after school program yesterday! 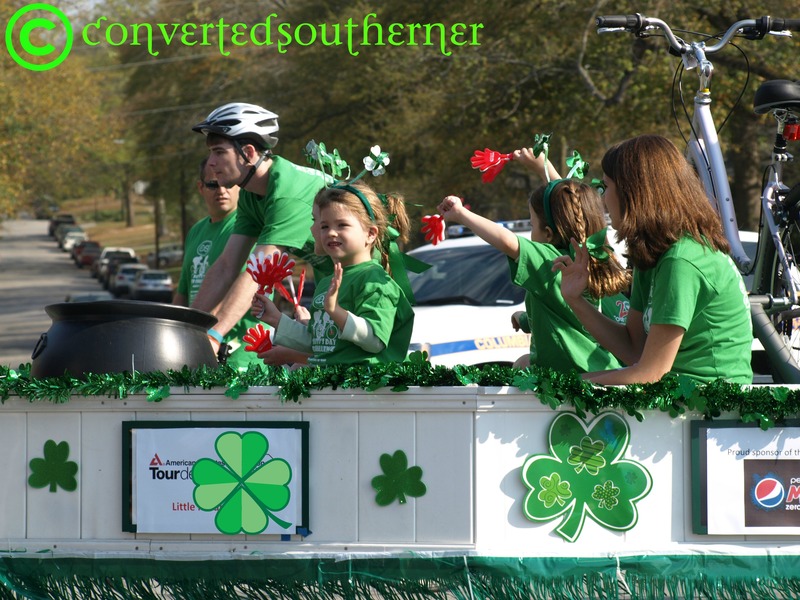 Surprisingly, they actually had real floats in the parade… with lots of green and shamrocks, of course! oh yes.... that is a costumed kid on a tandem bike. 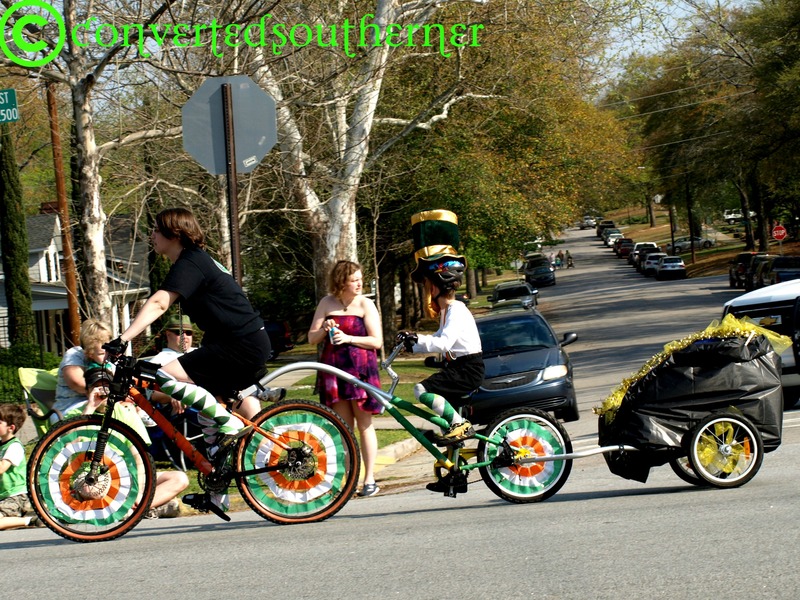 Yep, that is someone dressed as a leprechaun on a bike. Tutus and hula-hoops? Yep. The guy doing it on stilts was even better. These guys on their little motorbikes were pretty cool, they did all these tricks weaving in and out in cool patterns! 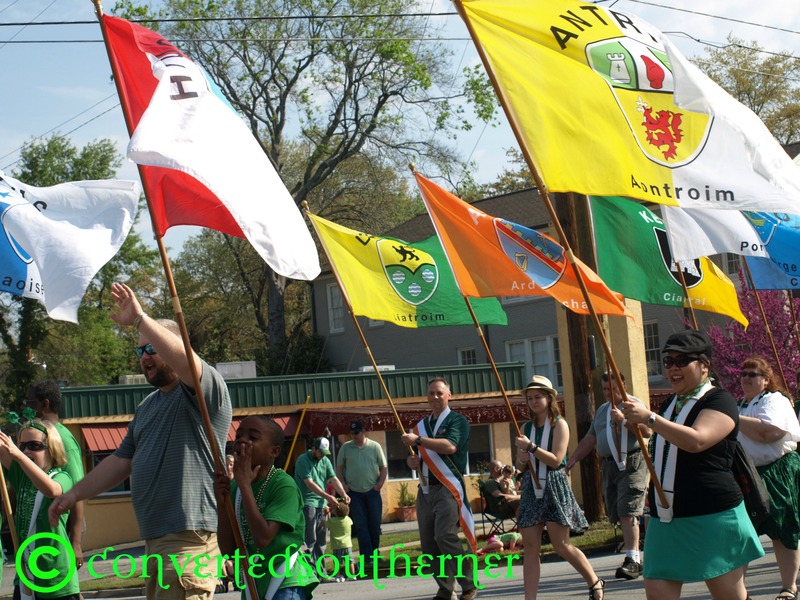 Cool Irish flags, you can tell how warm it is… girls are in sun dresses! 11am and sun dresses, it was a day that needed sunscreen , for sure! 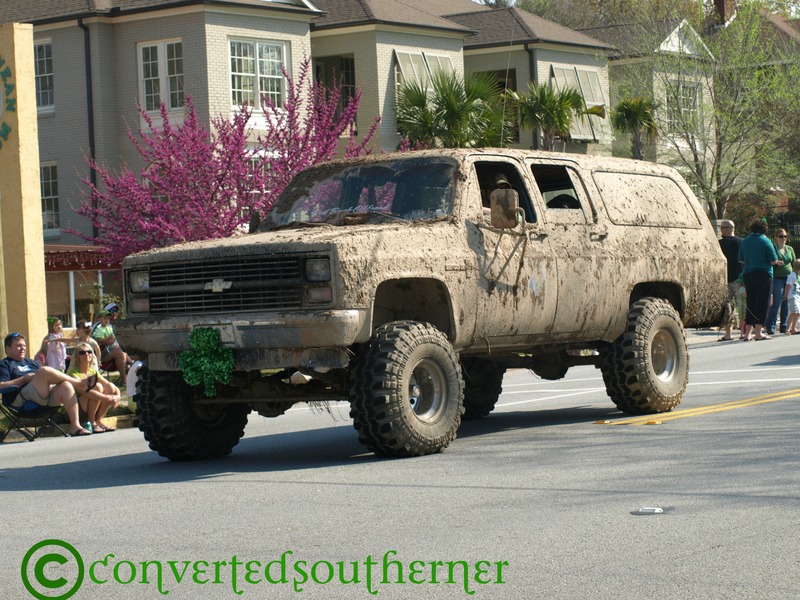 And apparently it also can’t be a Southern parade without a giant monster truck covered in mud, complete with a shamrock on the front. Don’t worry, everyone around me was also giving an eyeroll at the sight. Clean the car people! It is also impossible in this town to go somewhere without seeing a member of my family. Above are two of my favorite people, my Aunt and Uncle. 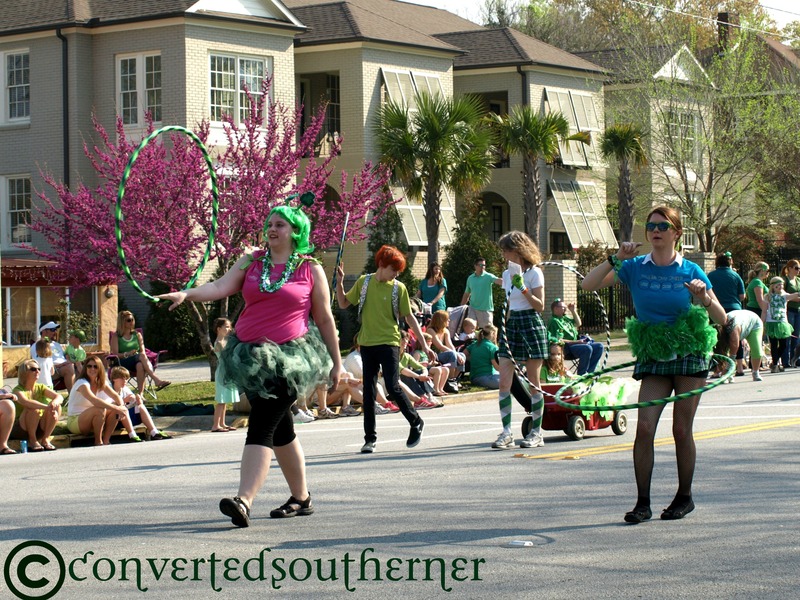 Since they know just about everyone in this city and are active in a lot of things, we were actually on the lookout for them and there they are driving their car and tossing out beads! Love those two! MG and I were yelling loud trying to get them to see us! 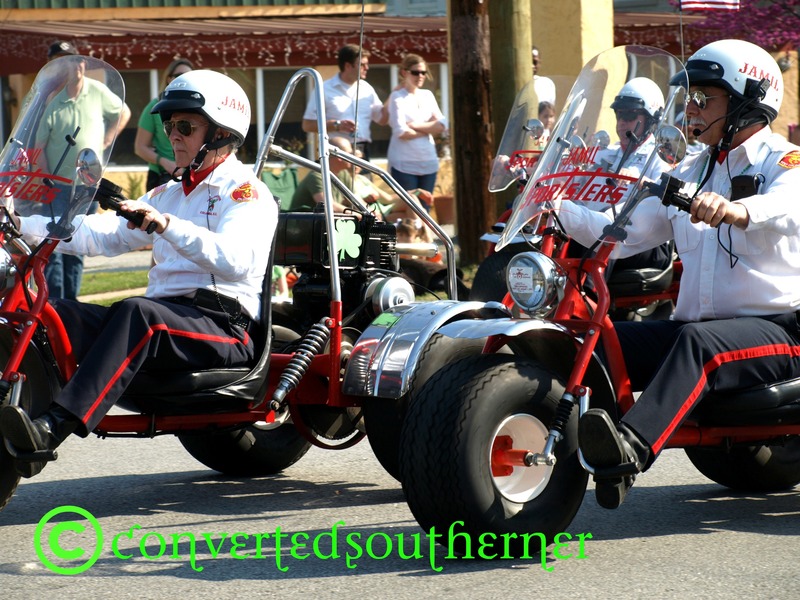 And lastly, one of my favorite pictures of the day… a spring day in the South. 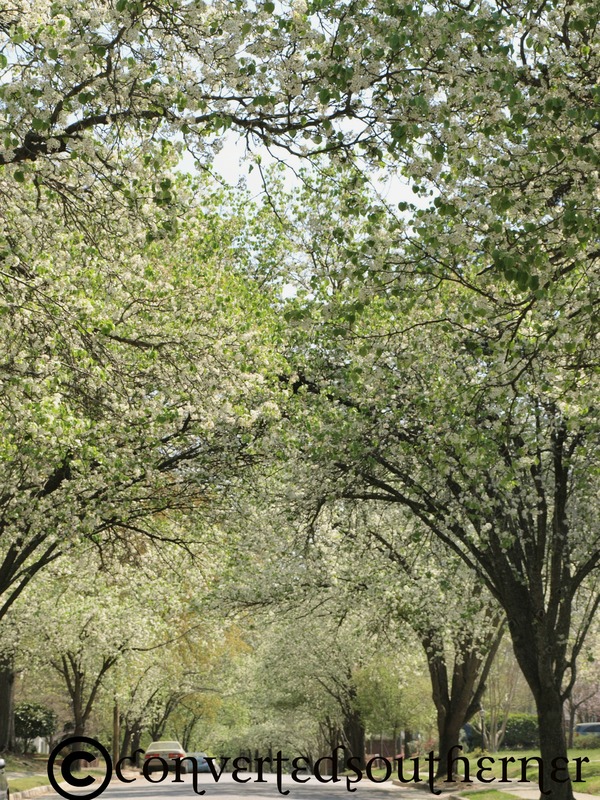 All of the trees are in bloom and I snapped this one driving home. Love living here, even with all the damn pollen! Hope everyone had a great St.Pattys Day! 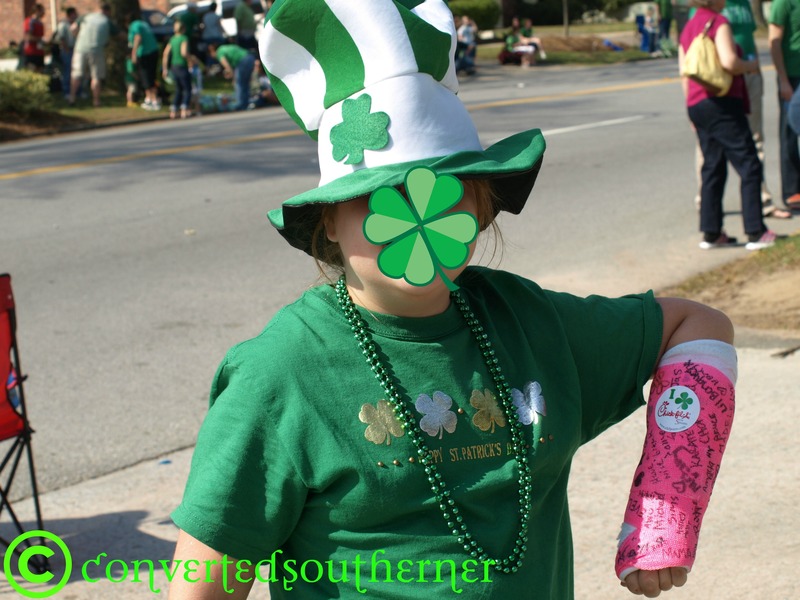 We certainly had fun celebrating our Irish roots. MG even learned the history of the day at school this week and taught me several things I didn’t know (such as St. Patrick was actually kidnapped as a kid). May the luck of the Irish be with you today and always! ← How do you say Teeeexas?